Day SIX: The 24 Hour Bar Build! The contest London Cocktail Week was leading up to! 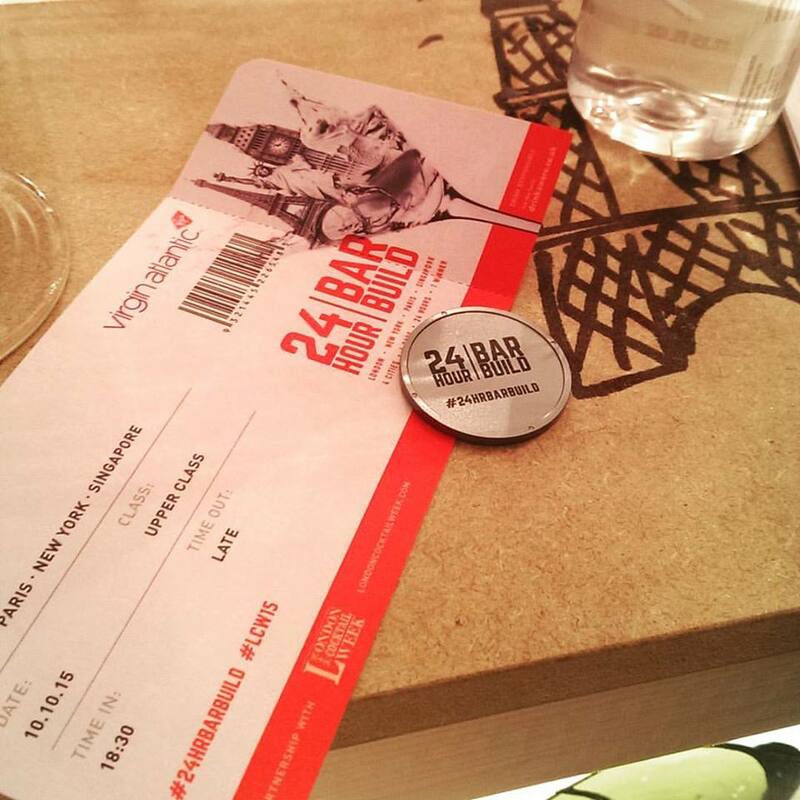 4 teams, 4 cities, 24 bartenders, 24 hours. Award winning bartending teams from around the world – London, New York, Paris, Singapore – come together to build 4 bars in 24 hours, competing to be crowned the World’s Best. Team London (WOO!) will be led by Richard Woods of Duck & Waffle, working with Patrón Tequila – against New York (Leo Robitschek of NoMad, with Grey Goose Vodka), Paris (Carina Soto Velasquez of Candelaria, with Bombay Sapphire Gin), and Singapore (Joel Fraser of the Cufflink Club, with Bacardi Rum). 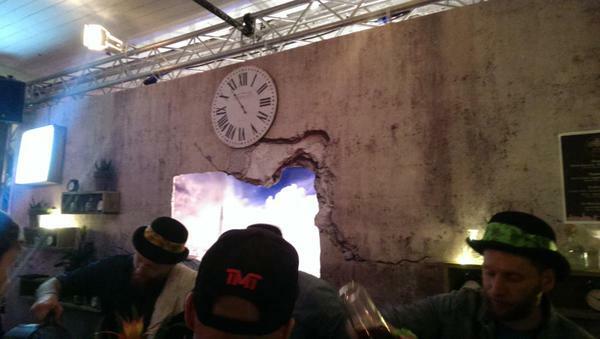 From concept to cocktails in 24hrs, which city will you crown the World’s Best? 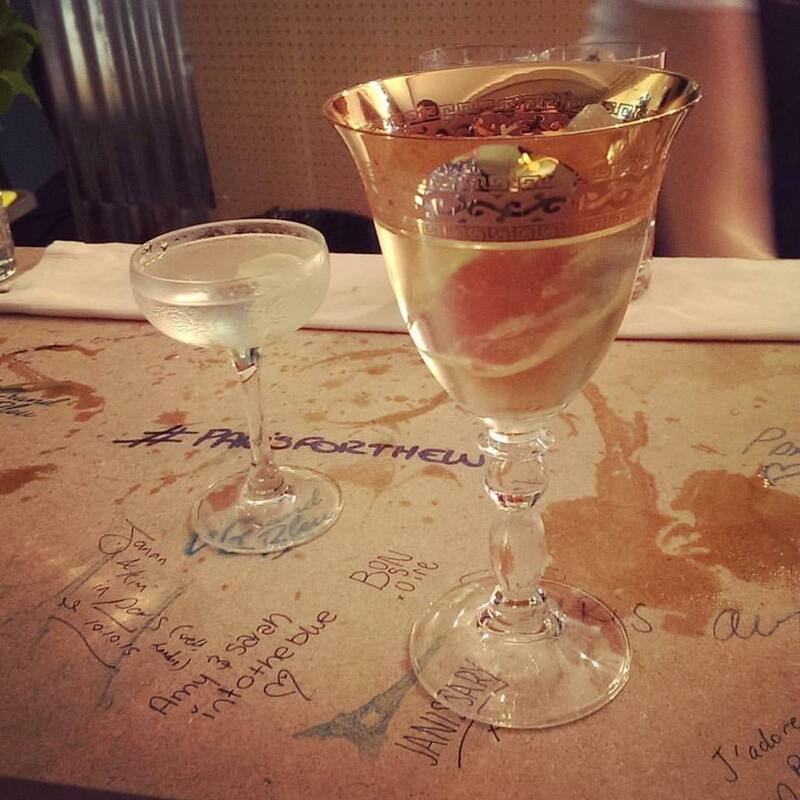 These 24 star bartenders knocked it out of the ballpark with their incredible bar concepts and cocktail menus, from first entry, let’s see what we got with Home Team London! London’s design seemed to have two distinct influences, one being the Team Leader, Rich Woods’ Duck & Waffle bar, with it’s London skyline in the bar’s ‘window’; the other being the outer barrio feel with Mexican influences with team’s sponsor, Patrón Tequila. 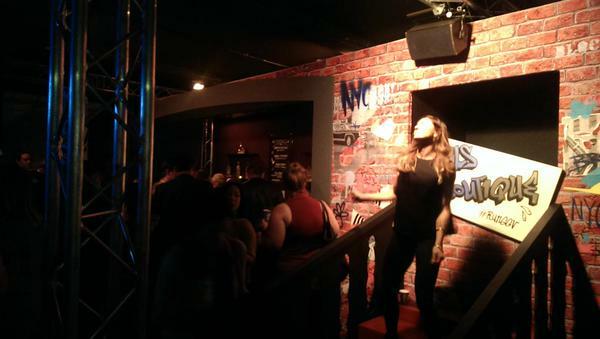 The bar, with it’s atmosphere and music, captured your modern London bar scene, and patrons seemed to sink right into their comfort zone. Familiar, with twisted classics for drinks, with London’s sudden developing love for agave spirits. A drink that stood out was Nathan Shearer (of Callooh Callay), knocking out fantastic Negronis using Patrón Reposado, Martini Rosso, and Amaro. Almost a deadringer for the classic. One of the Hoodooist’s favourite drinks of the night. Not to be outdone, Team New York set up a massive stall up west. Again, two major influences here: Graffiti and hip hop calling up the infamous 8os for that distinct NYC feel, and the sleek, minimalist bar for Grey Goose vodka’s style. A fun gambling alley next door to double or nothing your drinks token with a game of dice amps up the bar’s seediness with lightwork of NYC’s longtime love affair with vodka. Drinks were a lot quicker to dish out here, the Block Party gave us Grey Goose and watermelon juice; and the Kool Hero Aid gave us Grey Goose le Citron, St. Germain, and Kool Aid for a sweet, fruity long drink. Standing up to NYC’s minimalism, Singapore goes all out and throws us into the ring! From boxing arcade games, to a straight up boxing ring, complete with bartenders in costume for a fight, inspiration obviously comes from Singapore’s rich boxing industry. 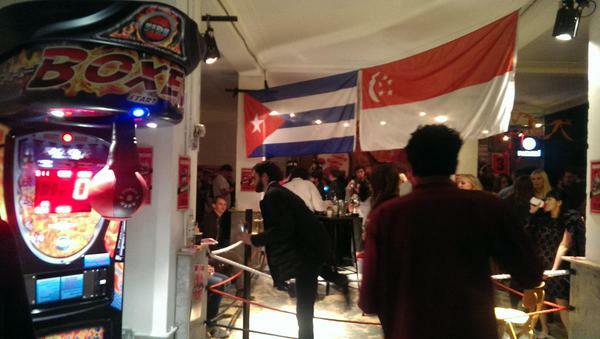 Certainly a fun set up, with drinks coming pre-bottled in themed glasses. 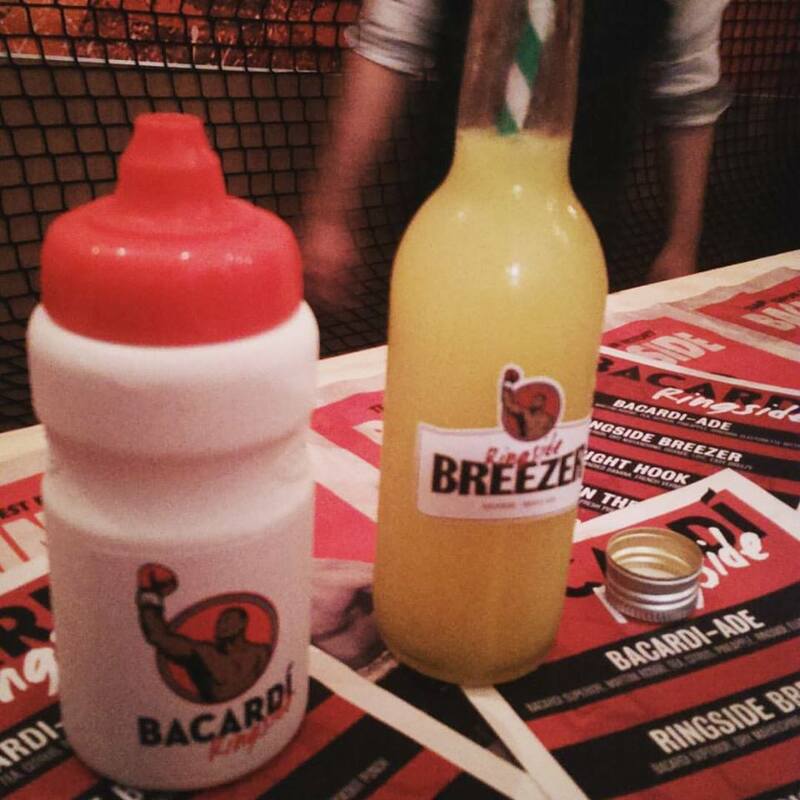 Sweeter and juicier fitness themed drinks from Bacardi rum included the Bacardi-Ade: Bacardi Superior, Martini Rosso, tea, citrus, pineapple and ‘ringside electrolyte bitters’; to the Ringside Breezer: Bacardi Superior, dry maraschino, orange, lime, ‘easy breezy’. 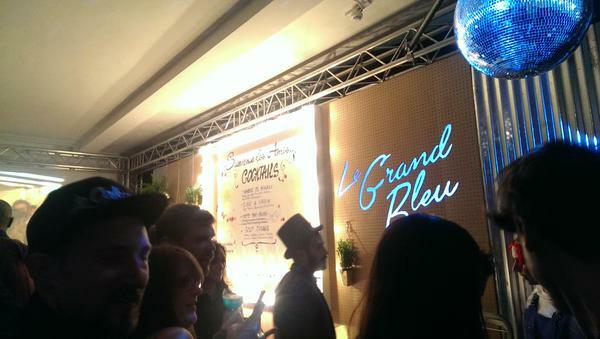 Bringing out the disco ball, turning up the French hip hop and the wearing the Tricolore, Le Grand Bleu was winning points with tophatted host pouring champagne for everyone throughout the evening. This team’s design went all out with the pizzazz and flashes of sponsor Bombay Sapphire Gin’s signature blue. The Like a Virgin twisted the Dry Martini with spice mix and olive for a spicy, lip-smacking short drink to take your time with; and the excellent Gold Digger; Bombay Sapphire gin, cognac, pandan, sesame, cordial, Amontillado, sherry. Initially caramelly sweet with powerful sherry and cordial, it gives way to the sesame and herbal gin, finally ending with an effervescent pandan finish. The Parisian offerings, Like a Virgin on the left, the Gold Digger right. The night wore on, more tokens exchanged at each bar until tokens were to be counted to see which of the 4 cities outranked the others, and lo and behold, Team London’s #LondonCalling once again leads the world’s bar scene! Were we all a bit biased? Probably. Do we regret it? Highly doubt it. Still, that Gold Digger tho. Alright! 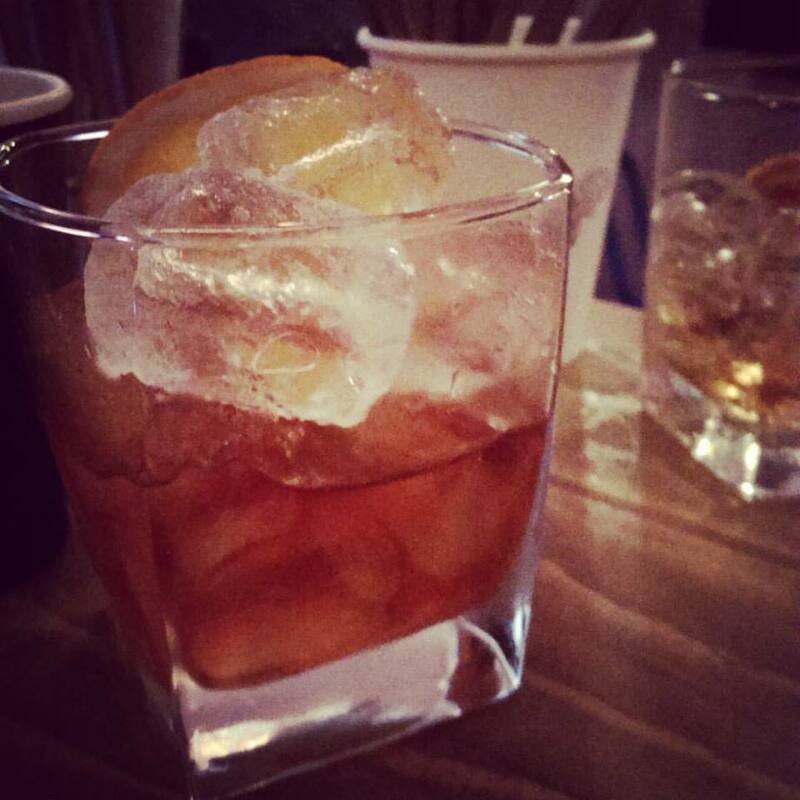 That’s our recap of Day Six of London Cocktail Week 2015! I do hope it may have helped you one way or the other, dear readers, on our quest through the most magical week of the year. 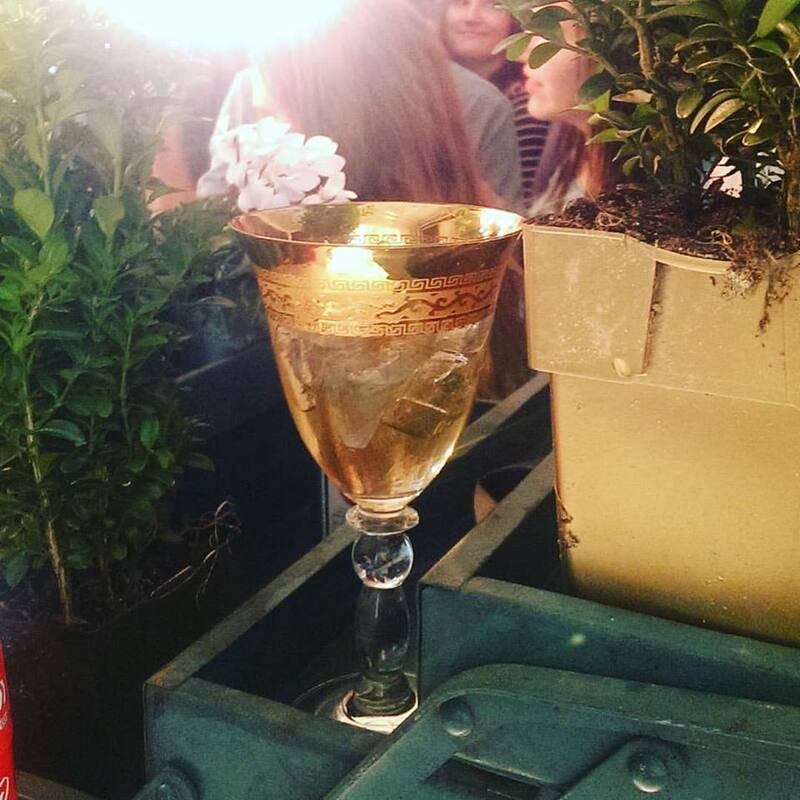 Remember to check out Highball Hoodoo every morning of London Cocktail Week for more reviews of the LCW cocktail offerings, parties and events! Get #YourDailyDoseOfHoodoo each morning from 5th to 11th October! This entry was posted in Bars & Cocktails, Festivals & Events, Gastronomy, International and tagged Cocktails, Festival, London, London Cocktail Week. 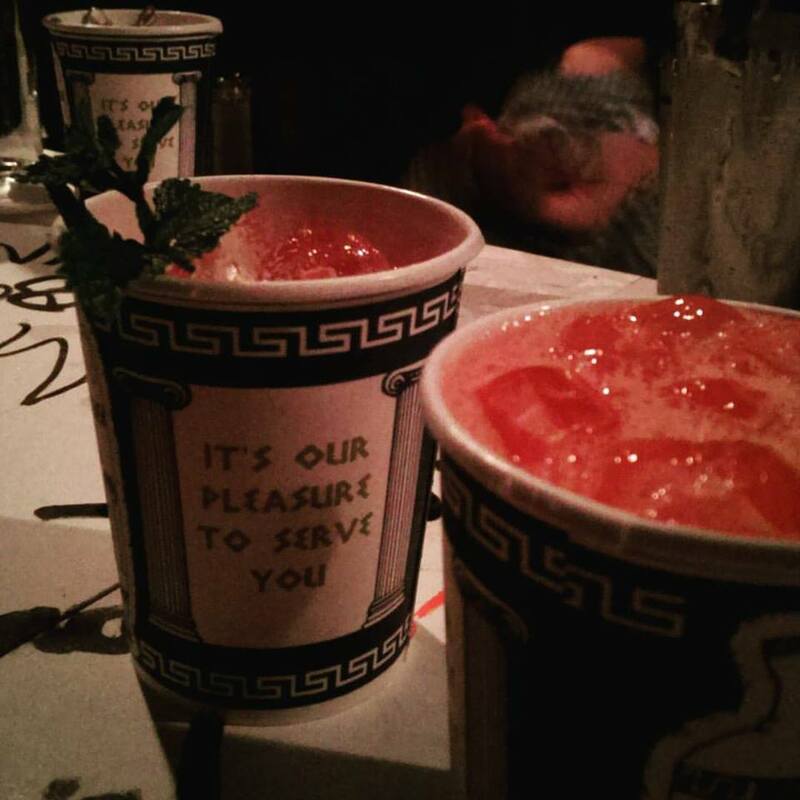 ← Day FIVE: Soho Weekend!